Heritage Insurance Company Ltd among best ranked insurance firms in East Africa. We are a subsidiary of Liberty Kenya Holdings Plc which is listed on the Nairobi Stock Exchange. Liberty Kenya Holdings Plc is also the holding company for Liberty Life Assurance Kenya Ltd, the long term businesses of the group. It is a subsidiary of Liberty Holdings Limited, a leading financial services group with a representation in 25 countries across the African continent. 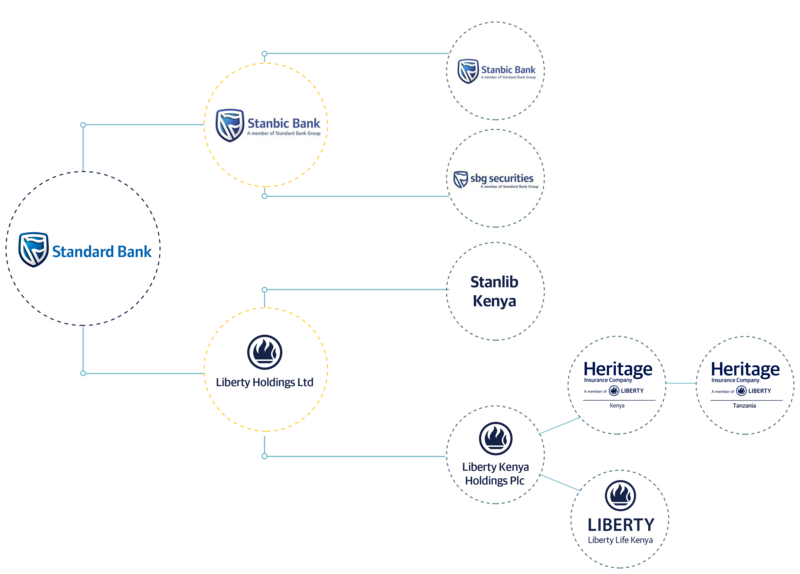 Liberty Holdings Limited is majority owned by Standard Bank Group Limited which is the largest African banking group by assets.